Christie Brinkley skincare products are made with award-winning anti-aging ingredients that rejuvenate your skin and make you look younger. Christie’s products address 5 top signs of aging skin, which include wrinkles, sagginess, discoloration, age spots, and crepiness. This authentic skincare cream helps fight the effects of sun tanning and environmental pollutants on the skin, giving your skin a smoother, firmer, and brighter look. Christie body and skin care creams are the secrets towards achieving your desired skin care objectives in a short time. Christie Brinkley Recapture 360 Cream is meant to complement your natural body processes and ensure that it can help your skin’s natural replenishing processes. The Christie Brinkley products (Now available in Australia!) will help your skin overcome the challenges of skin aging and effects of sun damage on your body. This body cream will help you keep your skin youthful and delay the appearance or treat wrinkles in case they have already appeared, it keeps your body skin firm, smoother and more elastic and gives it a soft feel. It helps you keep wrinkles away: People always wish to keep their youthful looks even when they are getting old and it can be a difficult issue to address. Wrinkles can make you appear older than you actually are and that’s why you need a body cream that will help you reduce and eliminate wrinkles. Christie Brinkley wrinkle remover will help you reduce and finish wrinkles on your skin within a few weeks if you are consistent. Recapture Day Cream reduces and delays the appearance of aging signs. When did you last meet with an old friend and realized that he looked younger than he actually should be? Aging signs are inevitable especially when you are at your late 40s or early 50s and many people get concerned about such signs. Our Recapture Day Creams will help you with addressing other signs that accompany aging apart from wrinkles. Our skin creams will guarantee you are glittering skin if used continuously over time. Our beauty products give you a good anti-aging experience eliminating the common signs of skin aging to give you a smooth, firm, and glittering appearance while reducing the appearance of any dark skin spots over time. The Recapture Day Cream combines three efficient technologies to provide you with the best skin care. The skin cream is combines skin reviving technology, skin improvement technology and skin protection technology to help you fight aging signs such as wrinkles, dark spots, and loss of skin firmness. Is your skin sensitive to direct sunlight due to the UV rays? Our beauty products and body creams will improve your skin’s natural regulating abilities that enable it replenish itself and fight any emerging aging signs that result due to UV rays, oxidation on your skin. i. Clean your skin thoroughly: Before you can apply Christie’s skin cream, you need to ensure that you have cleaned your body thoroughly. ii. Use a soft cloth to apply the Recapture Day Cream on your body evenly and ensure that you apply it well. iii. Ensure that you apply this body cream twice a day until you get the desired results. Neodermyl: This helps revitalize and recharge your skin to give your skin a rejuvenated appearance. This ingredient helps your skin produce collagen and elastin that is needed to initiate rapid skin care multiplication to give it a youthful look. Elix-IR: This natural product protects your skin from UV damage that can lead to premature and photoaging. Aquaxyl: This component helps your skin with ultramoisturisation. Essenskin: Comprises the important amino acids and calcium mineral and forms the skin’s building blocks during cell repair and renewal. Phormistim G: A natural component extracted from a plankton native to South Africa only. 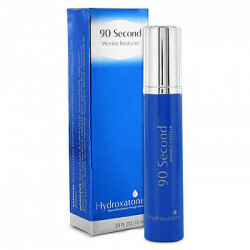 It boosts your skin’s anti-oxidation resistance properties. Vederine: This is a natural component of the skin cream and it allows your skin to re-energize Vitamin D receptors even in the absence of sunlight. Mitostime: Extracted from brown algae that are rich in many natural minerals such as iodine, copper, zinc, and selenium. Brown alga is a well-known super anti-oxidant and other algae species. K Vita C: This strengthened Vitamin C protects your skin from the negative effects of free radicals. This ingredient improves your skin’s texture and color. Systenol A: This is an extract from plant seeds and it is essential to ensuring that your skin glitters and it can reverse any skin damage. Our product is made up of natural ingredients from plant extracts to ensure that it provides you with the skin care that you desire. The skin cream does not have any side effects that might irritate your skin in case you decide that you will discontinue its use because it is purely an organic skin care cream. Our Recapture Day Cream has been manufactured carefully from special complex organic ingredients through the R&D processes making them one of the most reliable products in the market. At the beginning of the adoption of this skin care cream, your skin might become dry. 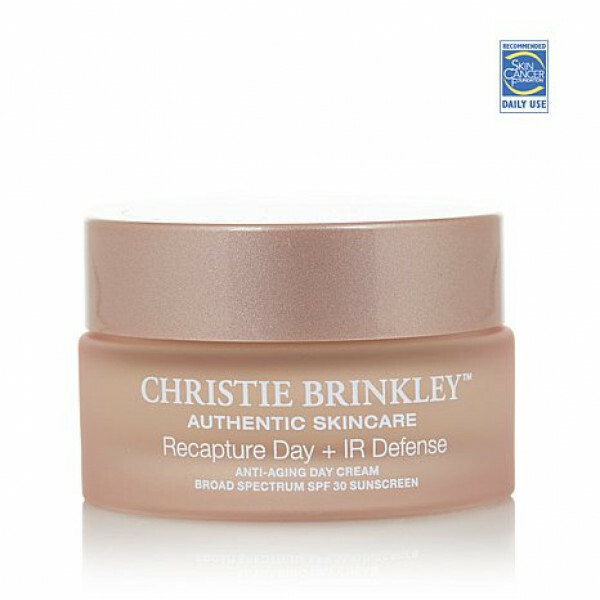 Christie’s Recapture Day Cream is the newest vegan and environmentally-friendly skincare product that helps to reduce wrinkles and reverse the signs of aging. There is a bunch of similar anti-aging day cream available in the market that come under the same cost bracket. When compared with other products, such as C+ Collagen Deep Cream, Algenist GENIUS Ultimate Anti-Aging Cream, Shiseido BENEFIANCE WrinkleResist24 Day Cream, and Lancer Body Cream, you will notice that Christie Brinkley Recapture 360 Cream gives far better results than any of those anti-aging creams. It helps to revitalise your skin, promotes rapid skin cell turnover which give you a healthy and youthful skin. Christie Brinkley Recapture 360 cream is composed of a special combination of amino acids and calcium, which serve as building blocks for skin cell repair and renewal. It is infused with a specially formulated complex, bio-copper designed to promote skin ultra-hydration and boost skin cell turnover and repair resulting in improved skin elasticity and firmness – something which its competitors do not offer.